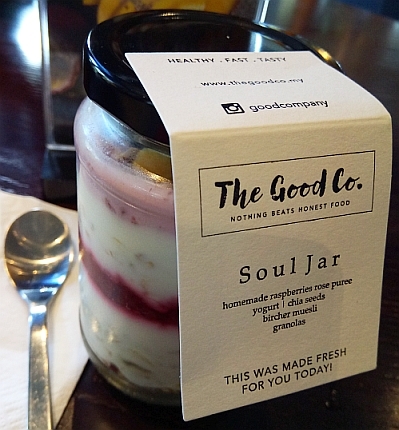 My friend wanted to have lunch at The Good Co. but I did not know what to eat this time as previously I have tried the smoothie bowls and the BLAT sandwich. 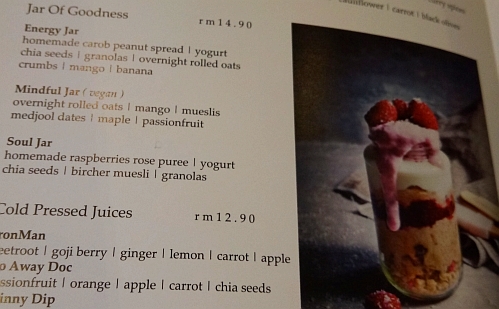 Suddenly I thought that I would try their yogurt so I ordered this Soul Jar at MYR 14.90 nett. 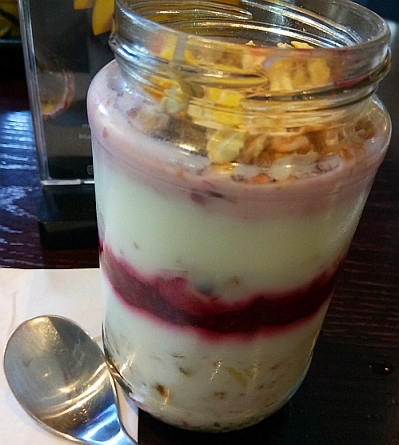 Nothing much to be seen at this angle except for the different layers of yogurt and raspberries rose puree. Oats can be seen from the top. 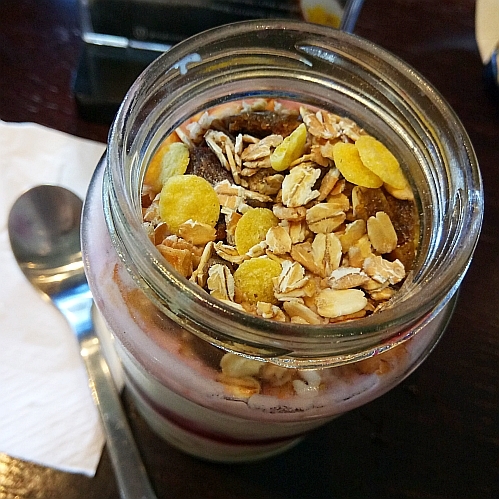 Luckily the yogurt is sourish so it is appetising and I managed to finish the whole jar without feeling satiated. 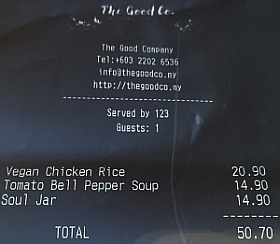 Total price for 2 pax is MYR 50.70 nett. From the list of 3 Jars, I selected Soul Jar because I prefer raspberries over peanut and mango. Jar of goodness, true and true. I sure would love that! Looks good as snack/dessert. You had this for lunch ya? Yes, ate that for lunch. Which jar would you have chosen?